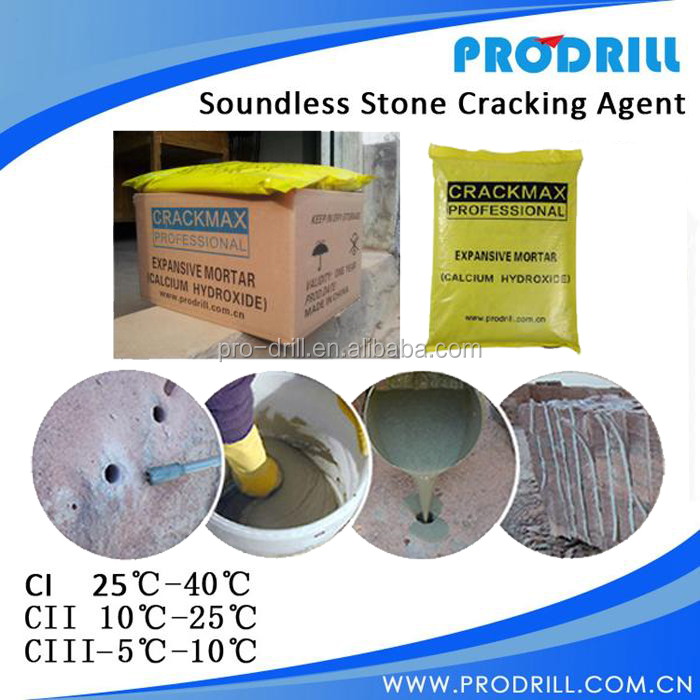 What is Expansive Mortar / Soundless Cracking Agent / Rock Breaking Chemical / Soundless Non-Explosive Demolition Agent? 1) Description: It is a non-toxic and cementations powder, which consisting of calcined oxides of calcium, silicon and aluminum. EXPANSIVE MORTAR, also short named SCA, becomes a highly powered amazing expansive pressure of 11200 T / m2 when mixed with water. 2) How Works: It develop rise of highly expansive capabilities at the consistent volume exceeding 122 Mpa ( 11200 T/ M2) more than enough to break up any materials to be cut or demolished. 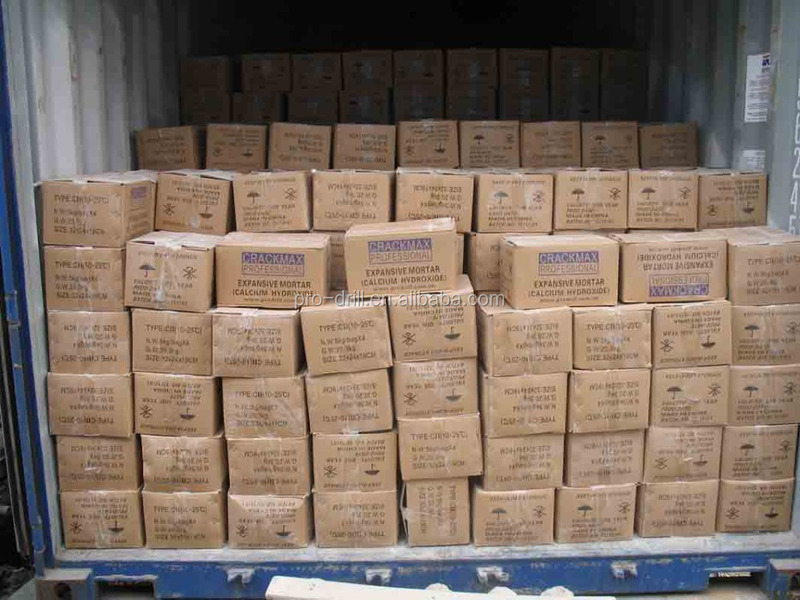 The tensile strength for most rock is less than 5-25 Mpa (500-2500 T/m2 50-250 kg /cm 2), Reinforced concrete breaks at 3-5 Mp (30-50 kg /cm2, 300- 500 T/ M2). 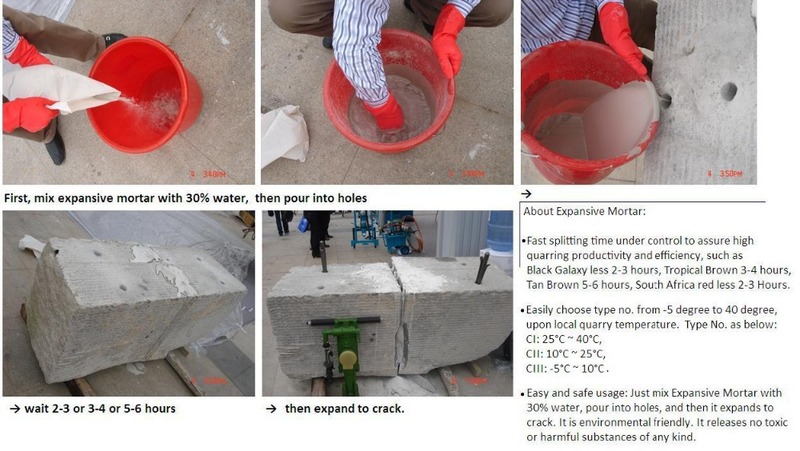 3) Method: Just mix Expansive Mortar powder with 30% water, pour into pre-drill holes, and then go far away and it expands to crack in 4 - 24hours. It is environmental friendly. It releases no toxic or harmful substances of any kind. 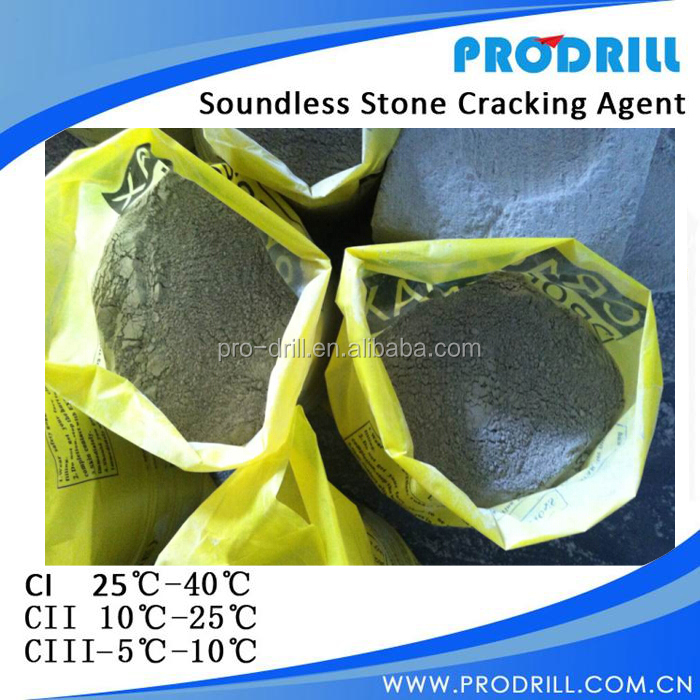 4) Application or Used for: Black Granite, Marble, Limestone, Sand Stone are fractured overnight without noise, vibration, or fly rock. 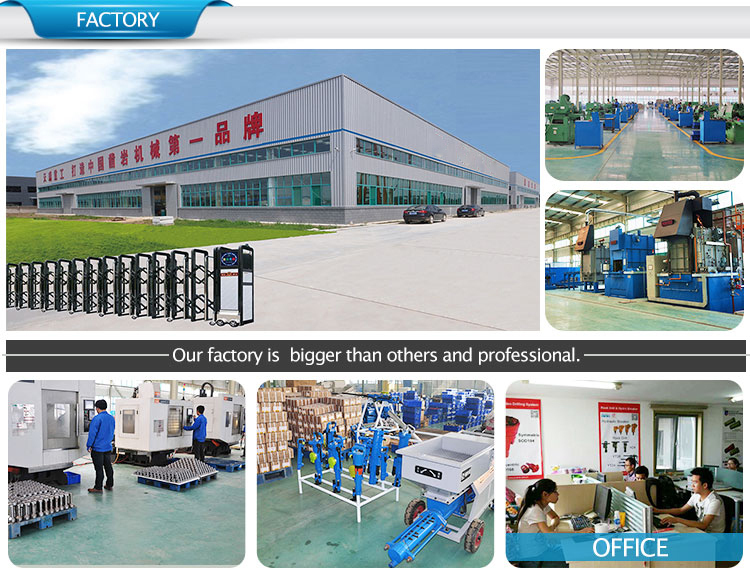 Especially, used as environment constraints or when explosive is not permitted for use. 4) Easy to use, no need of train. Fast break, safety without blown shot. 6) Economy, Safety for Vicinity. 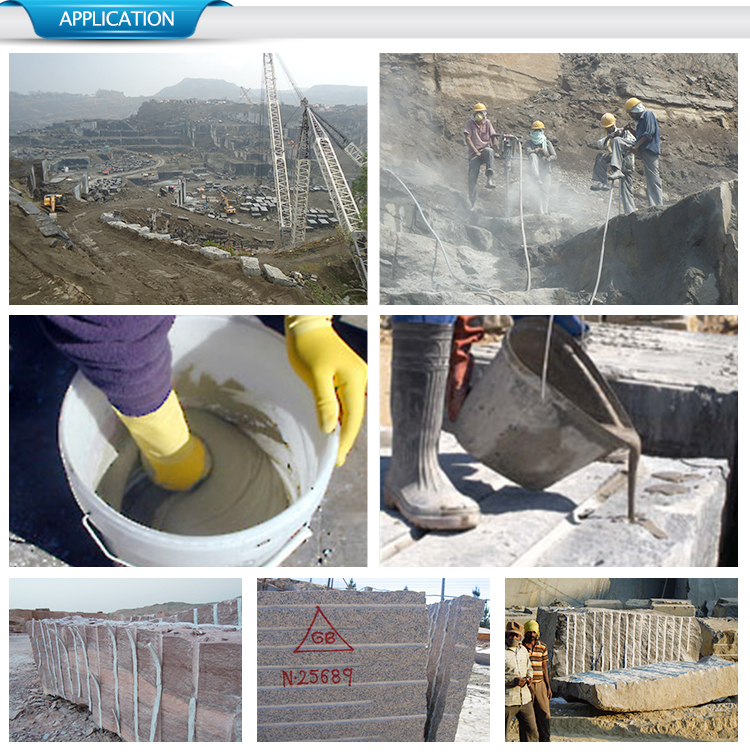 Expansive Mortar, easy break granite, marble and sandstone stone quarrying. First choose, Best choose. 3. 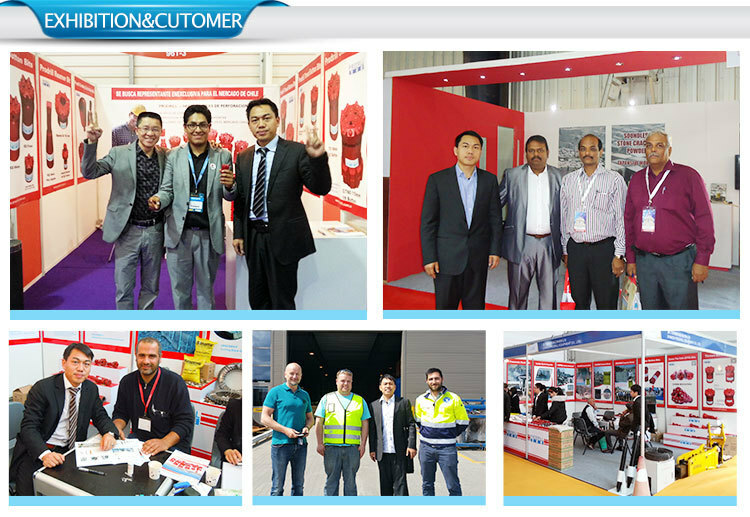 Our technician has more than 13 year’s professional working experience. Based on order quantity, normally it takes 15 days for production. Only 2 or 3 days if we have stock.